On Wednesday, January 3, Logan Downs entered the Air Force recruiting office outside of Portland, Oregon. With all of the necessary paperwork in hand, he filled out a few additional forms with his recruiter and finally, after months of preparations, submitted his enlistment documents to join the United States Air Force. 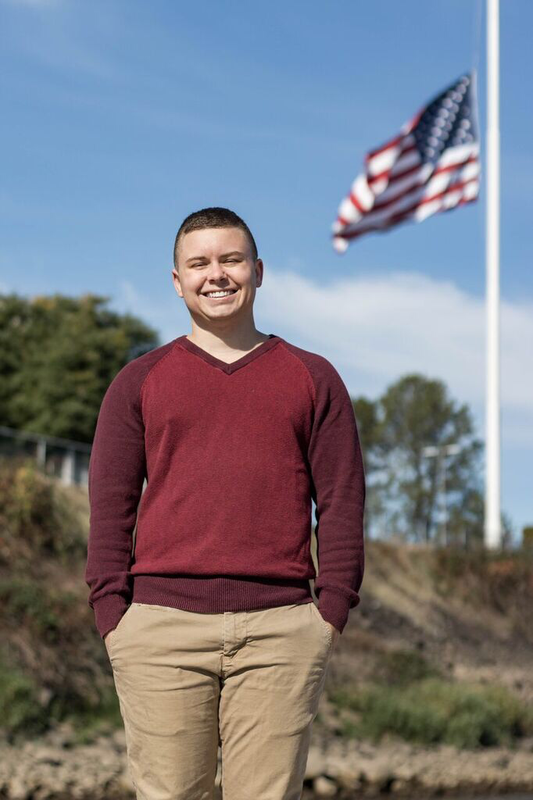 Logan is one of the first openly transgender people in the country to apply for enlistment in the United States military, as Trump’s ban on transgender people serving openly was halted and a court order required that transgender Americans be eligible for enlistment beginning January 1. “It’s super exciting because something real actually happened,” Logan said about his January 3 meeting with his recruiter. “Instead of just waiting for a date, waiting to see if I would be able to move forward, I actually submitted my paperwork and everything is now in process. 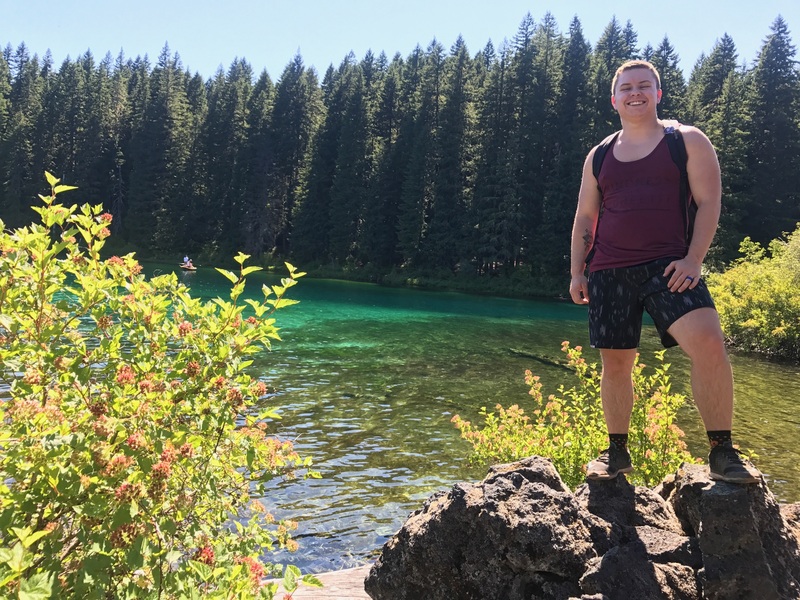 It’s super exciting and has been such a positive experience.” Read more about Logan’s experience in this first-hand perspective published in The Oregonian. The hold-up has been the Trump Administration’s across-the-board ban on open service for transgender Americans, proposed in a series of tweets in July 2017 and formalized in August. The ban has been challenged in court in four lawsuits brought by legal organizations, including the National Center for Lesbian Rights, GLBTQ Legal Advocates & Defenders, the American Civil Liberties Union, Lambda Legal, and more. Throughout the fall of 2017, all four federal district judges to consider Trump’s ban issued preliminary injunctions, halting the ban while the cases proceed. Those injunctions meant honoring the January 1, 2018 date previously set by the Department of Defense for open enlistment to begin. Logan has been waiting to serve his country for a long time. 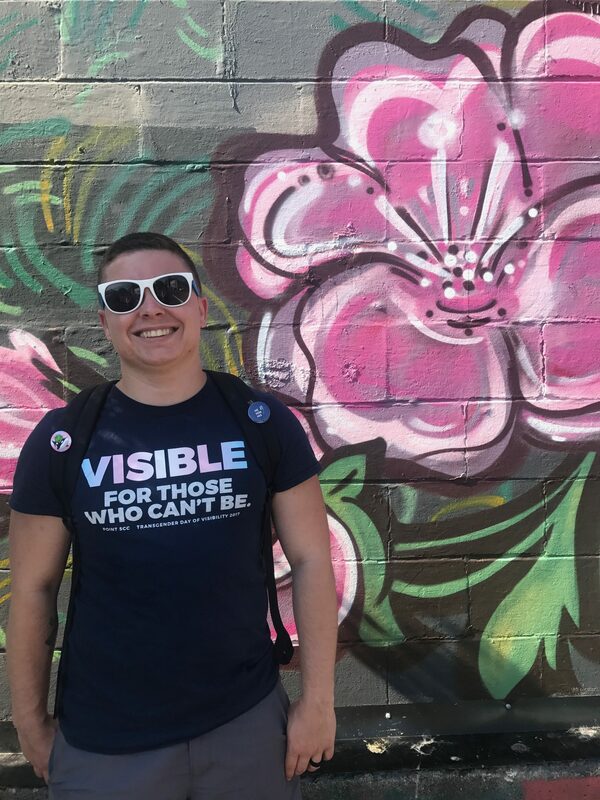 In high school, prior to transitioning from female to male, Logan joined the U.S. Army, attended basic training but was injured and discharged as a result. In June 2016 following an in-depth study, the Department of Defense found that allowing transgender people to serve openly would have no negative impact on military readiness, and transgender people in active service were finally able to come out. The announcement also said that new transgender recruits would be able to enlist beginning the following year. Throughout that year, Logan was looking forward to the day he could enlist again. Logan’s wife Sammy and his other family members are supportive of his dreams to serve his country, and they’re looking forward to joining him on this journey. Despite the damage that the military ban has caused, Logan said he is grateful for the public support of transgender people expressed in the hours and weeks after the tweeted discriminatory ban. “It’s been extremely positive to see all of this good stuff coming out of such a bad thing,” he said, referencing the many elected officials, service members, veterans, former military leaders, and everyday Americans speaking out against the ban and in favor of open service and dignity for all transgender people. Logan knows that the legal fight is ongoing against Trump’s military ban – but he’s optimistic that a new wave of transgender people joining the military openly for the first time will underline the reality that opening the institution up to all people, regardless of their gender identity, will have only positive results. He also understands that beyond the military ban, the country still has work ahead in terms of protecting all LGBTQ people from discrimination in employment, housing, and all public places. But he’s hopeful that positive change in one of the United States’ most revered institutions, and the opportunity for people across the U.S. to see patriotic transgender Americans providing service to their country, can have a positive impact everywhere.